The Powerkube XL horizontal baler is the most popular baler in the range, with an overall length of 6677mm and a feed opening 1590mm long x 1490mm wide. 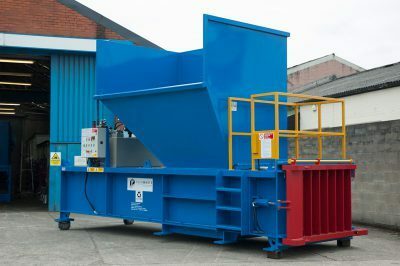 It also produces mill size bales, but its extended loading aperture allows large items of waste and bulky cardboard boxes to be baled effectively giving up to 2000kg per our throughput. For more information about our waste handling equipment, please contact Pakawaste today!